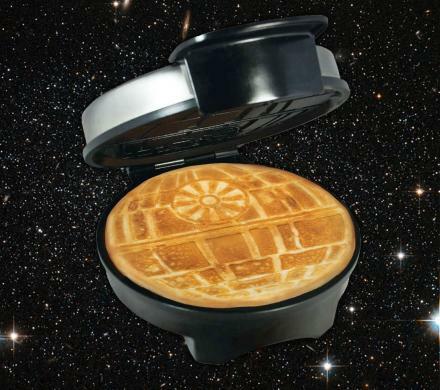 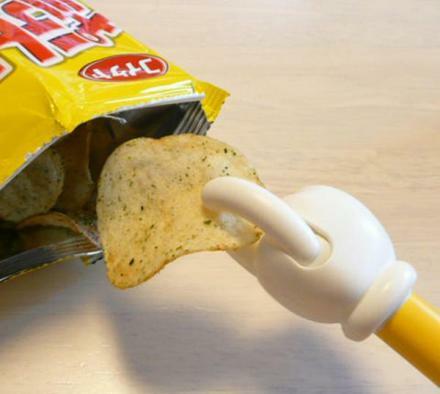 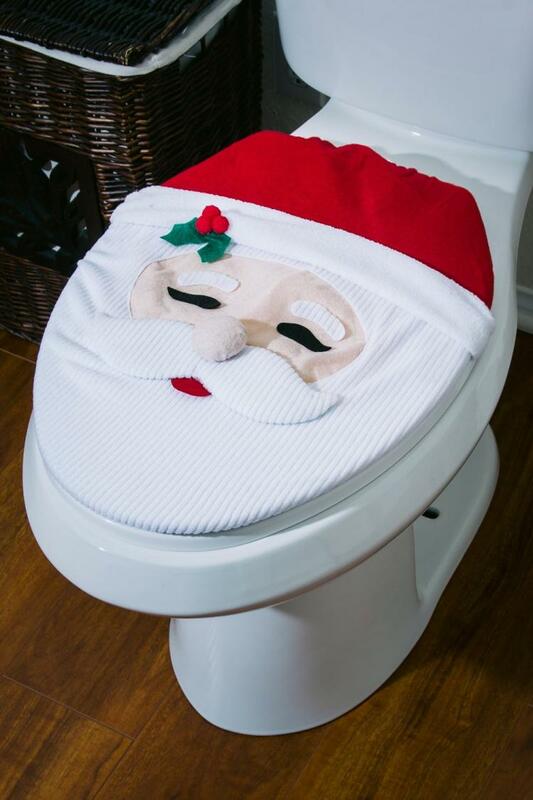 Now you can give your sweets to Santa this year in a different way, just pop open that toilet lid and plop down one of your special treats for Santa to enjoy. 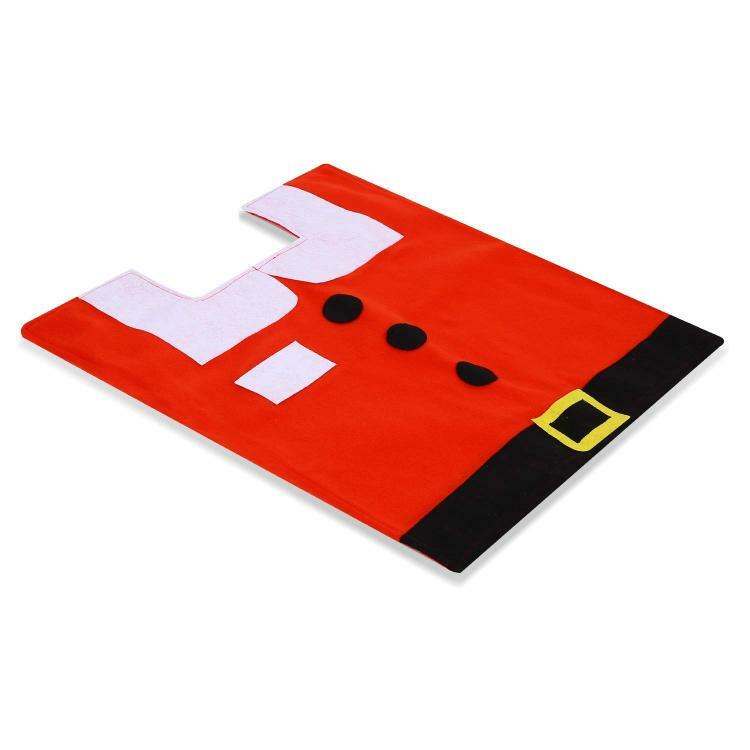 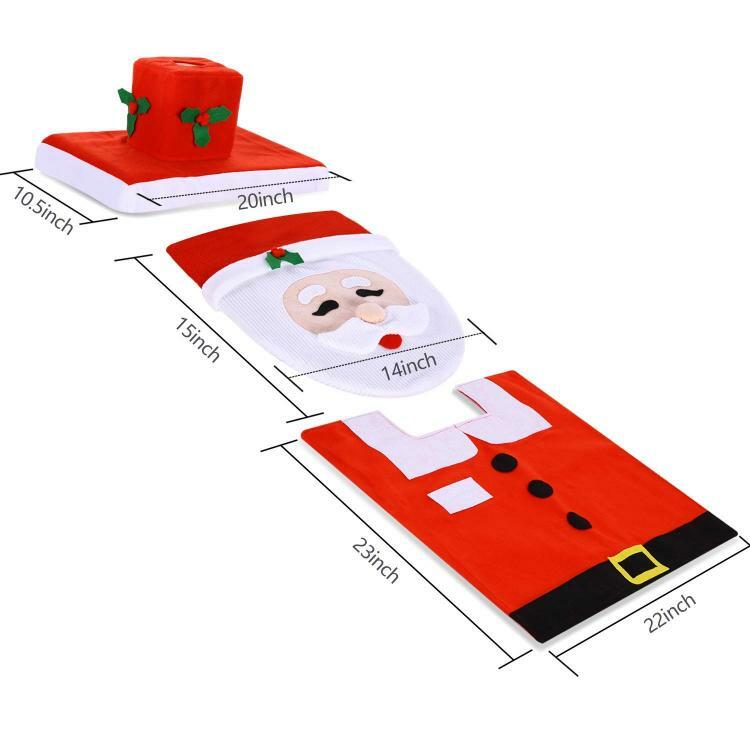 The Santa Toilet Cover and Rug Set is a decorative set that you can put on your toilet so that your child's memories of Santa are even weirder than they normally would be. 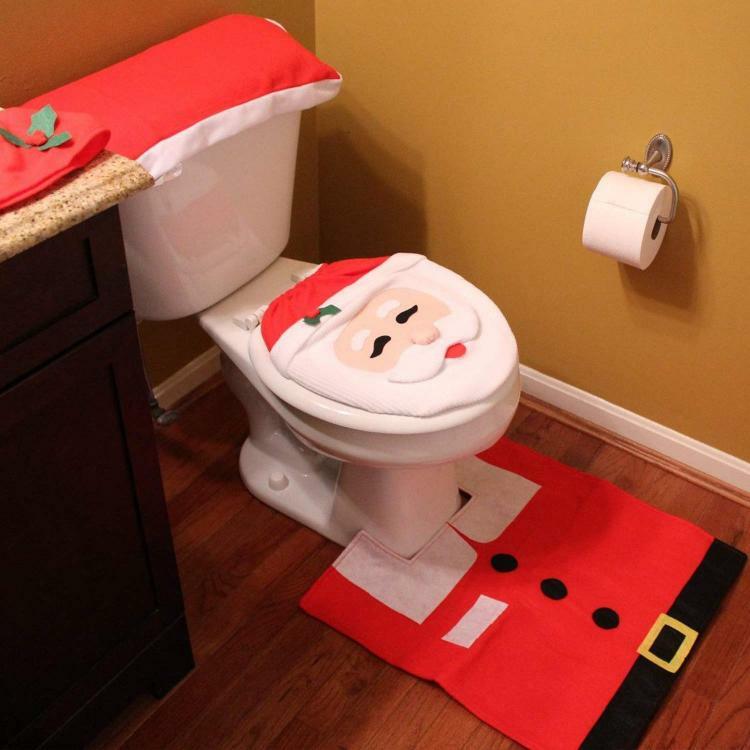 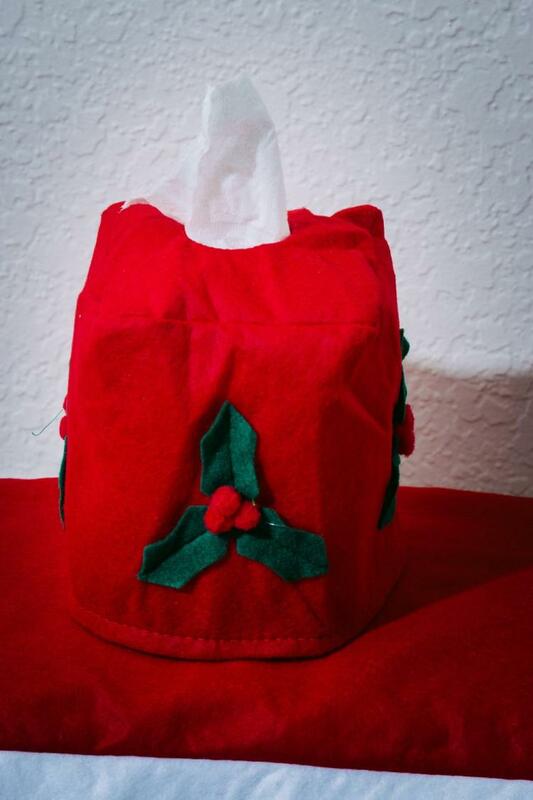 There's no better way to show your guests just how much you love Christmas than the Santa Toilet Cover! 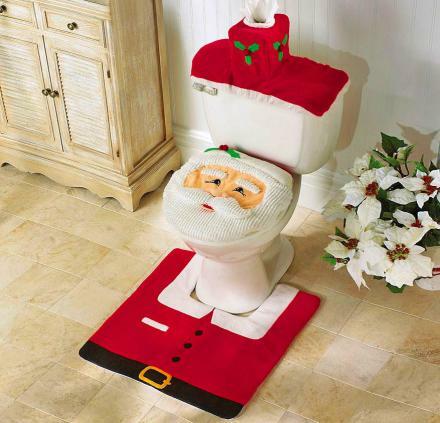 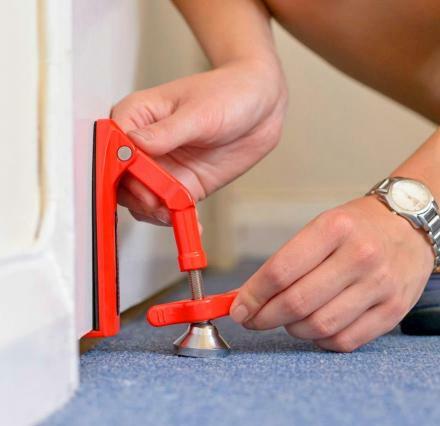 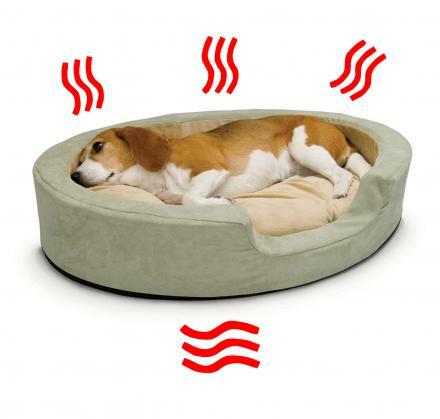 The toilet lid becomes Santa's head, whereas a rug on the floor becomes his chest and jacket. 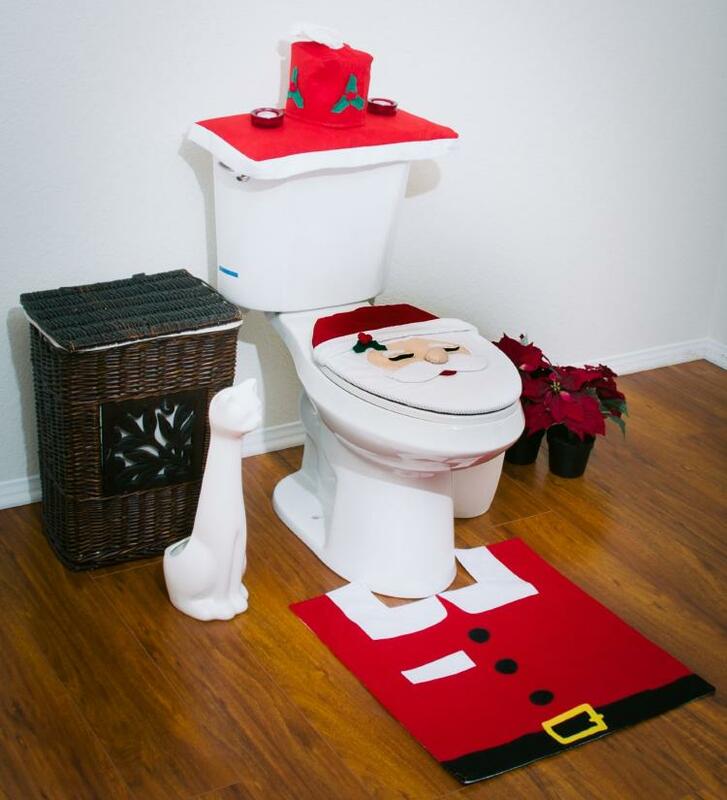 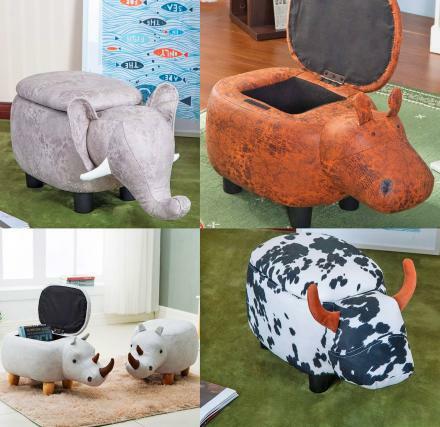 The Santa Toilet Cover and Rug set features a toilet seat cover, a tank cover, plus a floor rug that resembles Santa's coat. 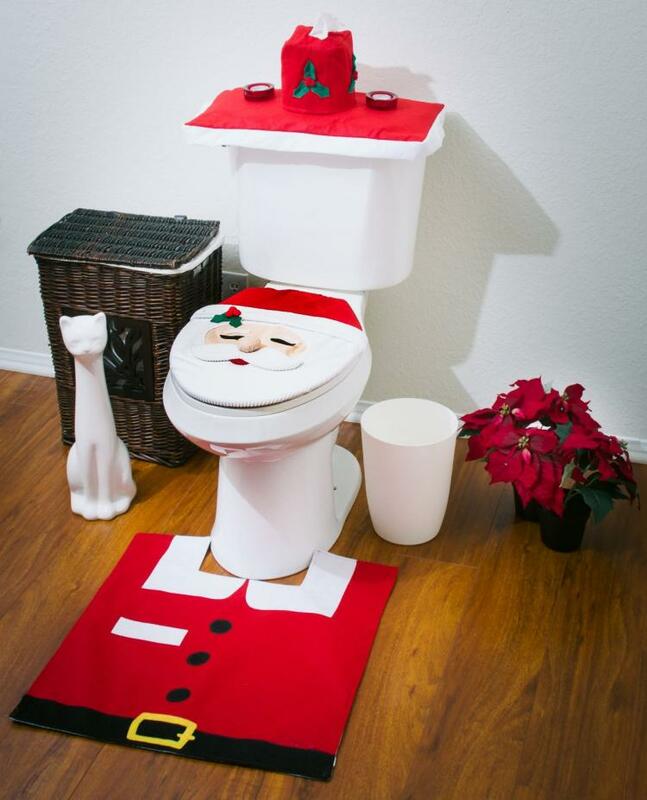 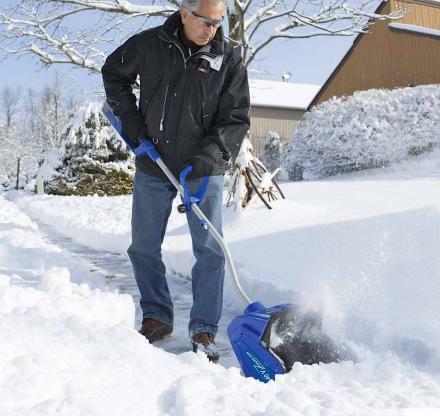 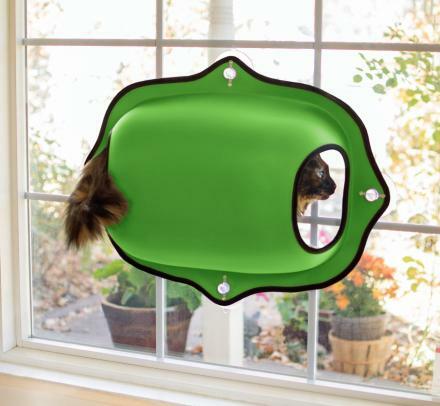 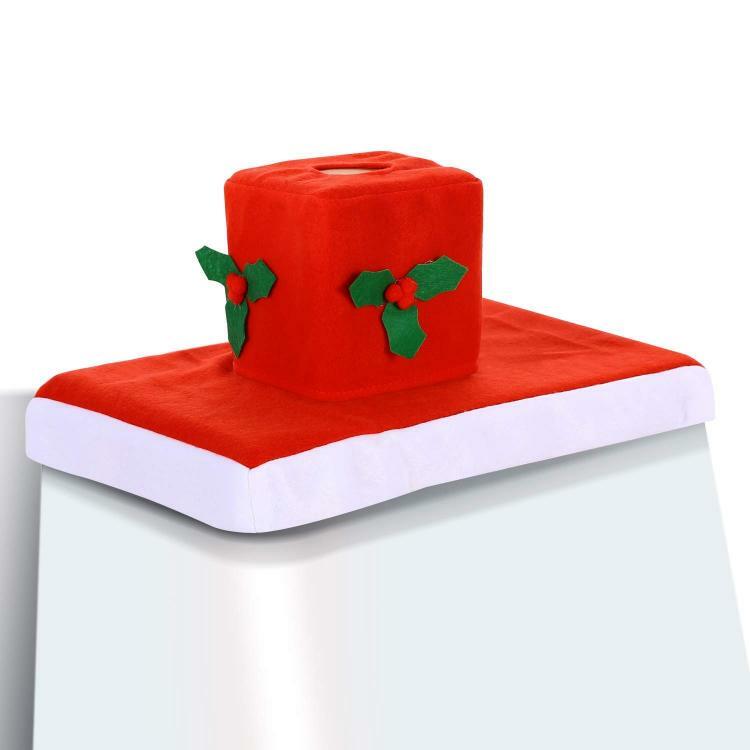 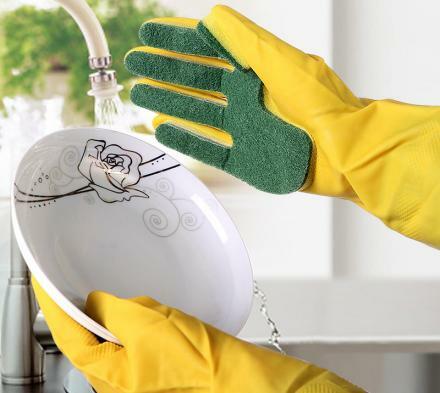 The Santa toilet tank cover even includes a tissue box holder on top of it, and both the tank cover and the toilet seat cover have elastic edges for a snug fit. 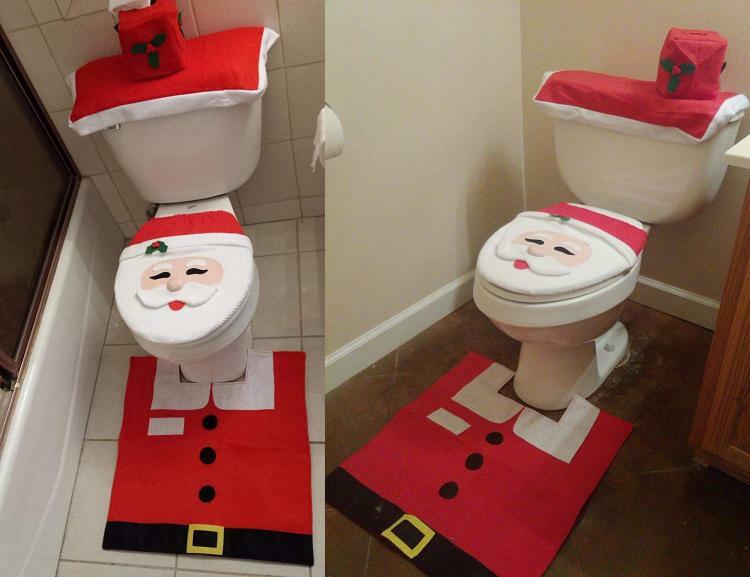 The Santa Toilet Set is made from polyester and is machine wash.